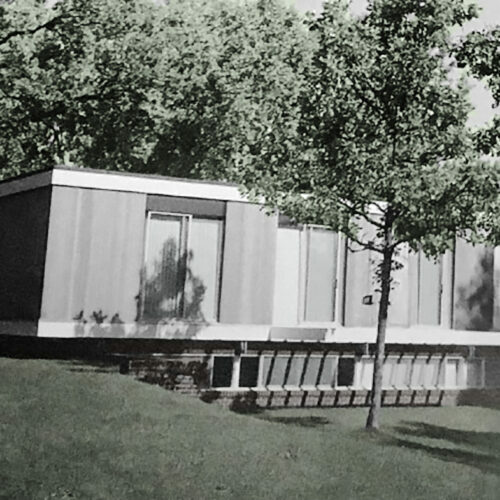 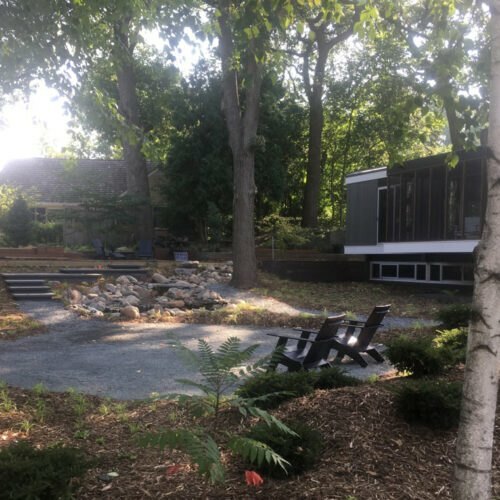 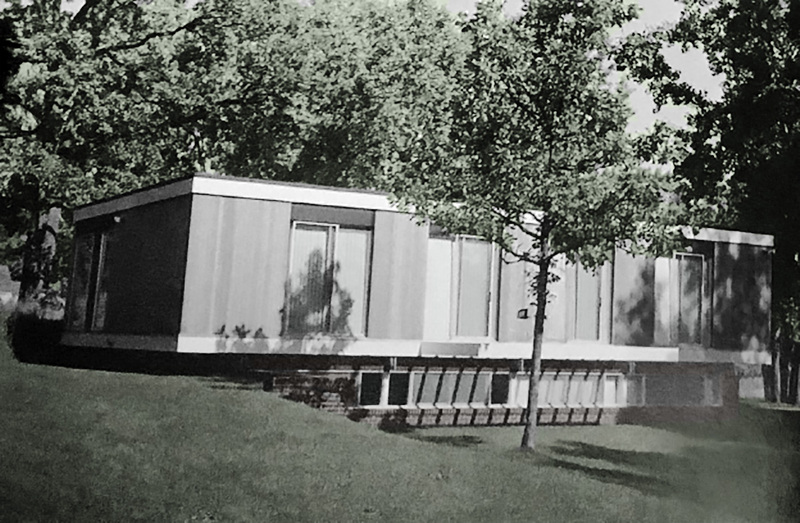 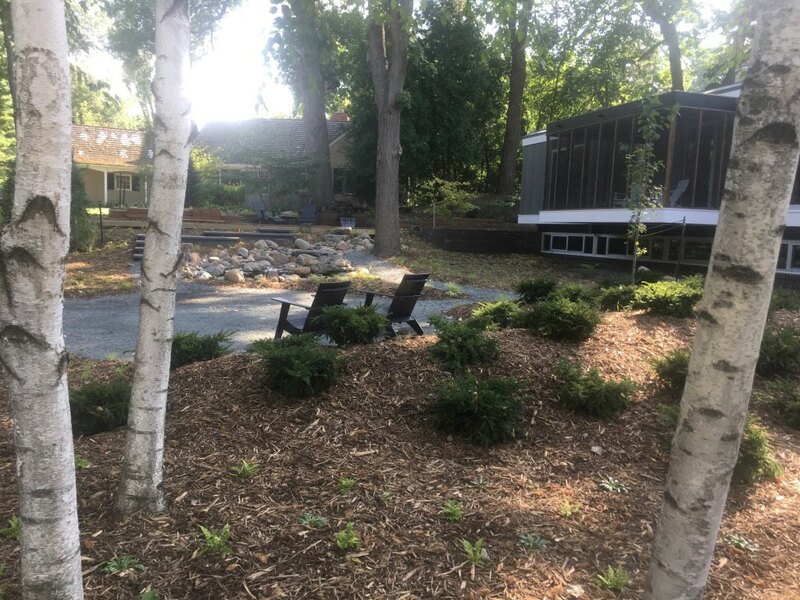 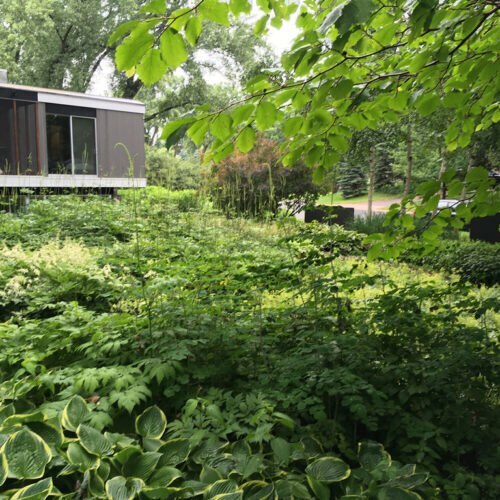 This architectural gem designed by Richard Babcock in 1961 is considered one of the purest forms of Mid-Century modern architecture in the Twin Cities, located in Golden Valley. 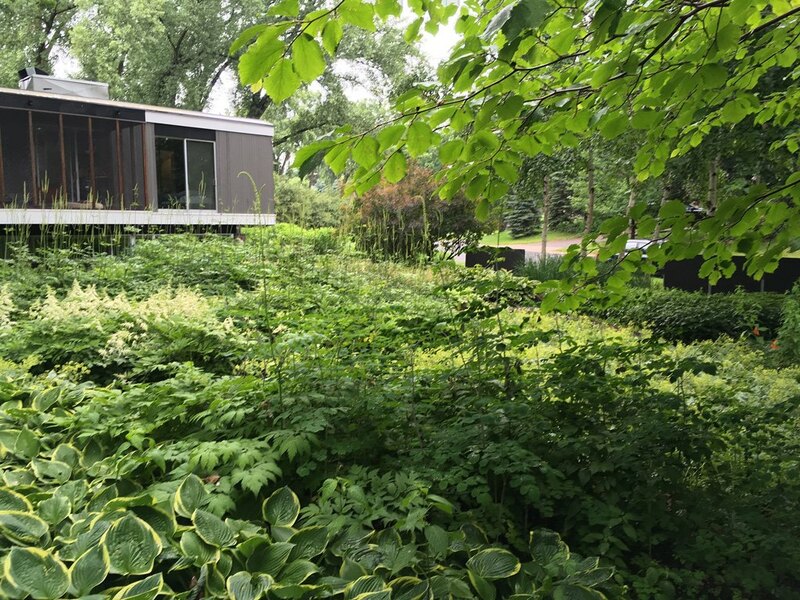 This impeccably preserved home with its woodland site provided us with an opportunity to highlight the integrity of the house, while fulfilling the clients’ desire for a more natural and native landscape. 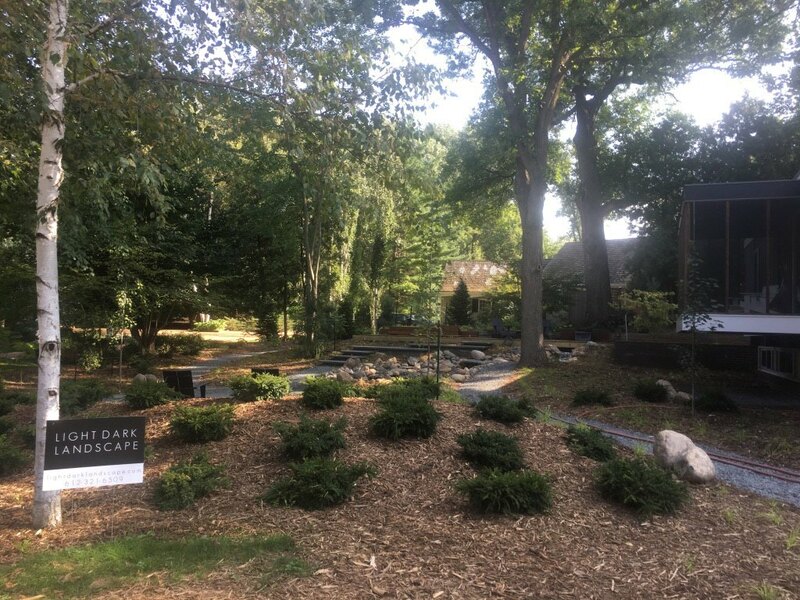 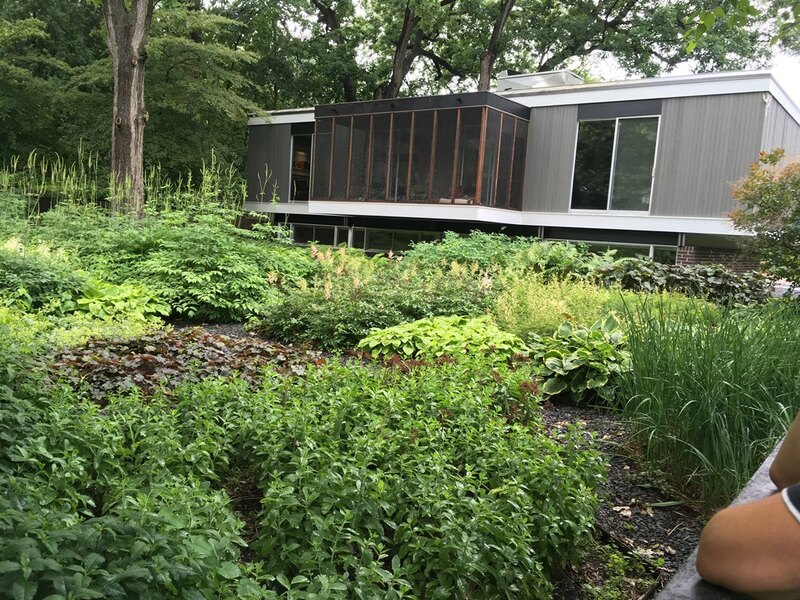 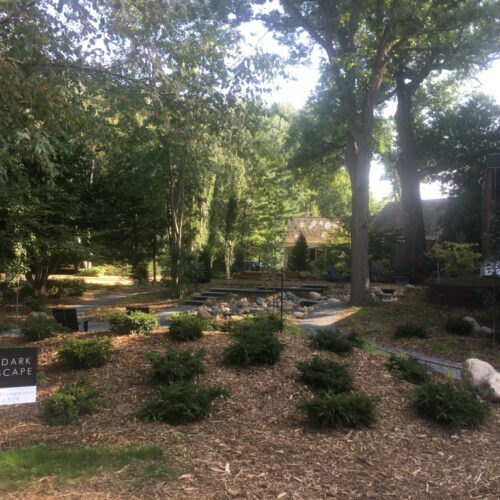 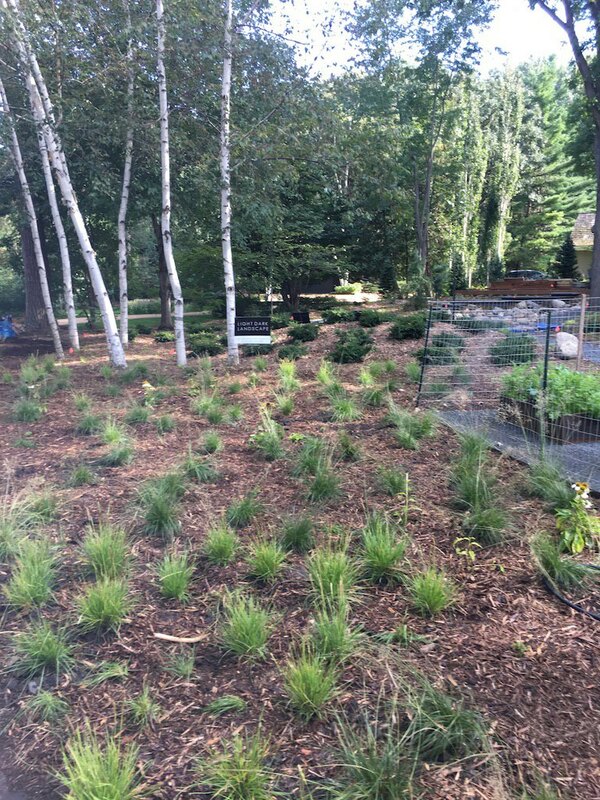 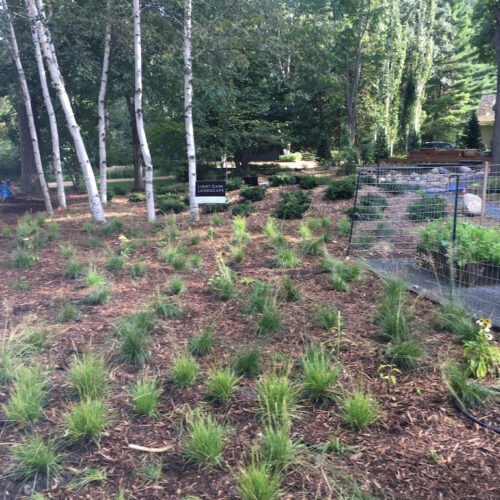 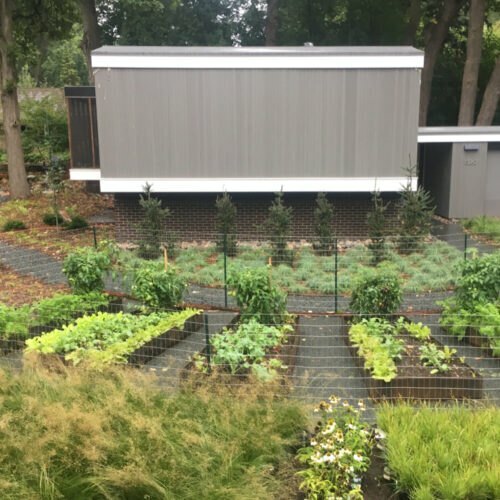 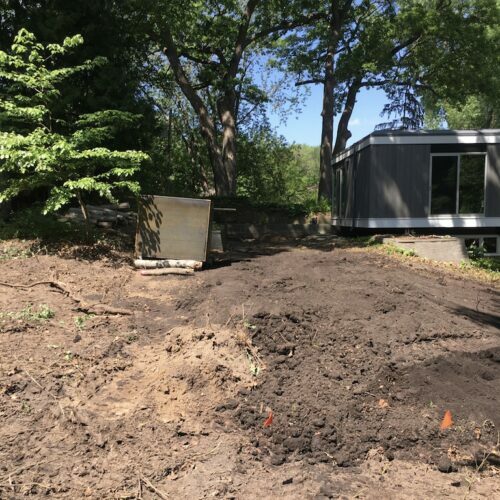 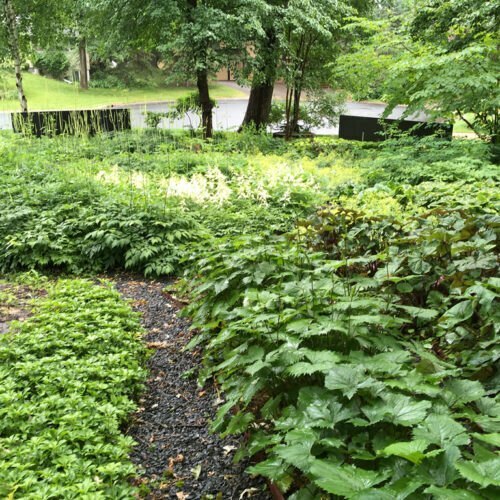 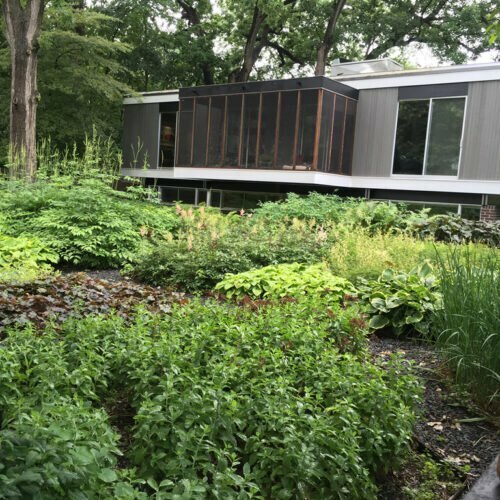 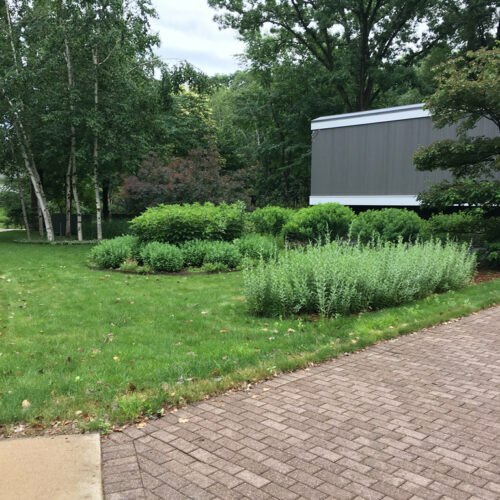 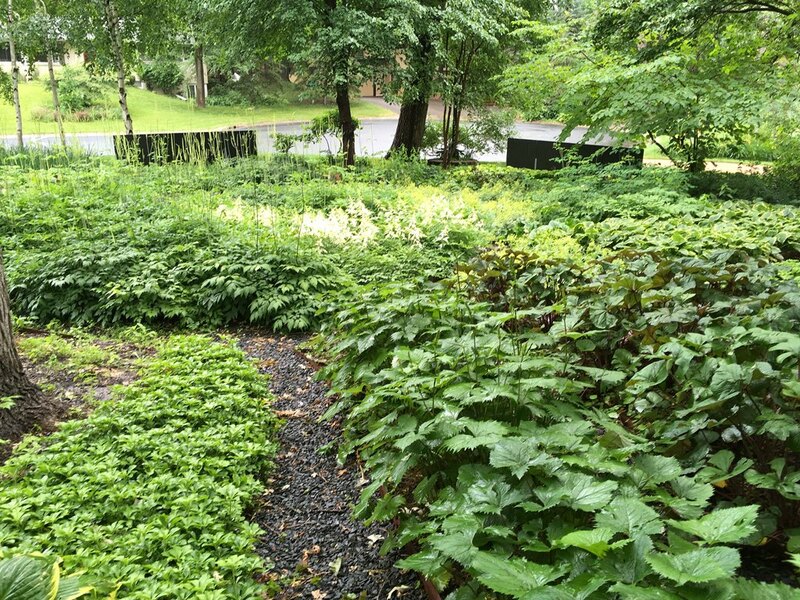 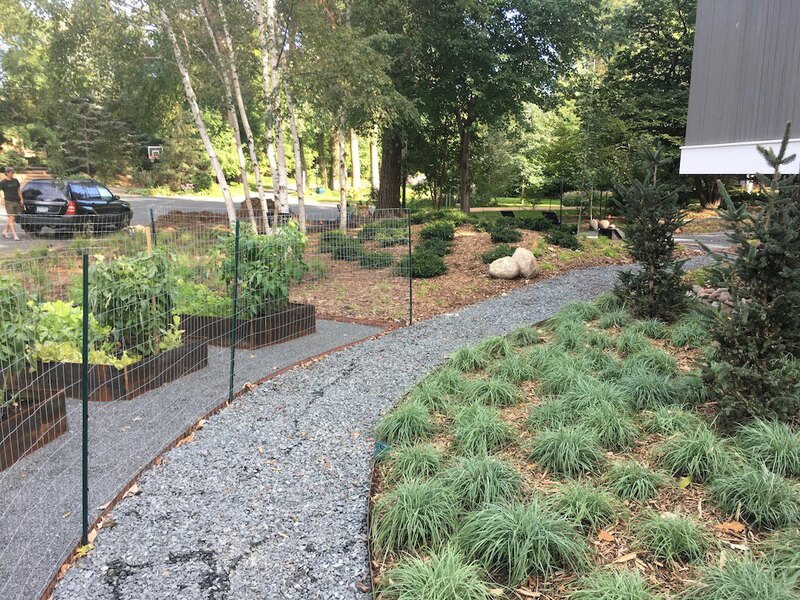 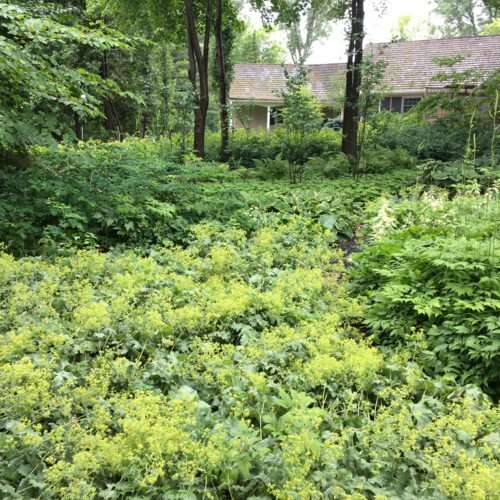 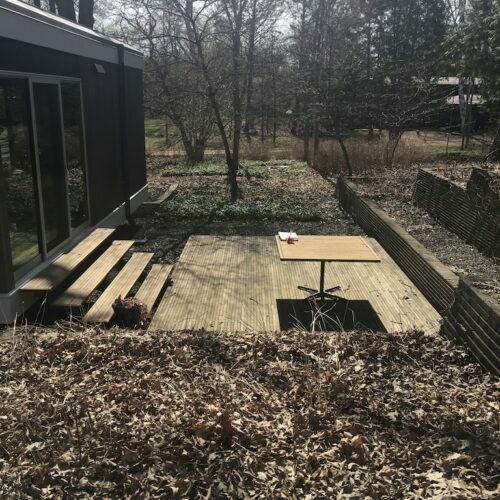 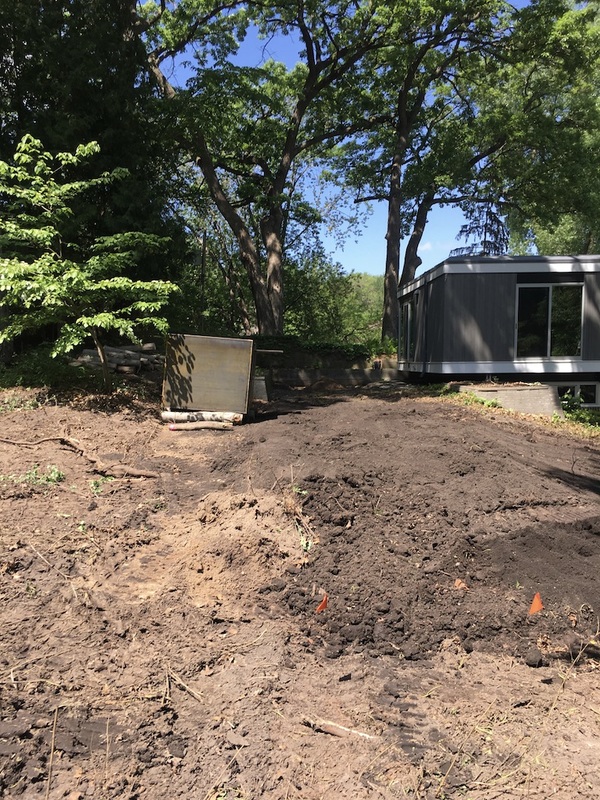 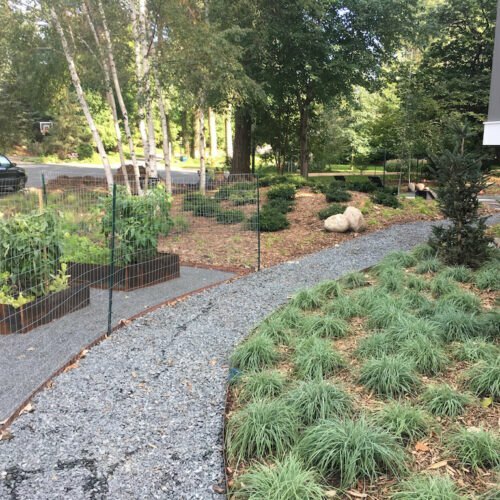 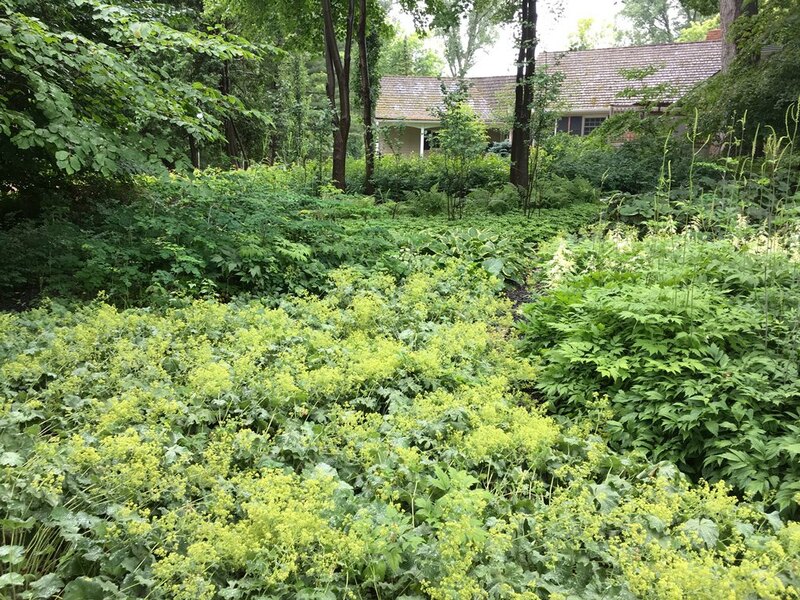 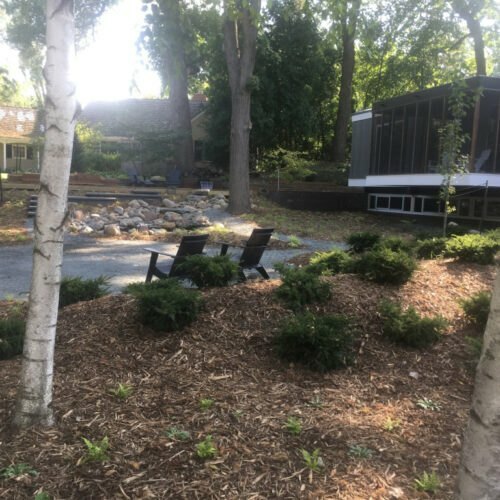 Eliminating all turf and “fussy” gardens, this landscape is 100% free of traditional lawn and provides habitat and food for creatures, allows food production for humans, and creates a haven for relaxing and entertaining. 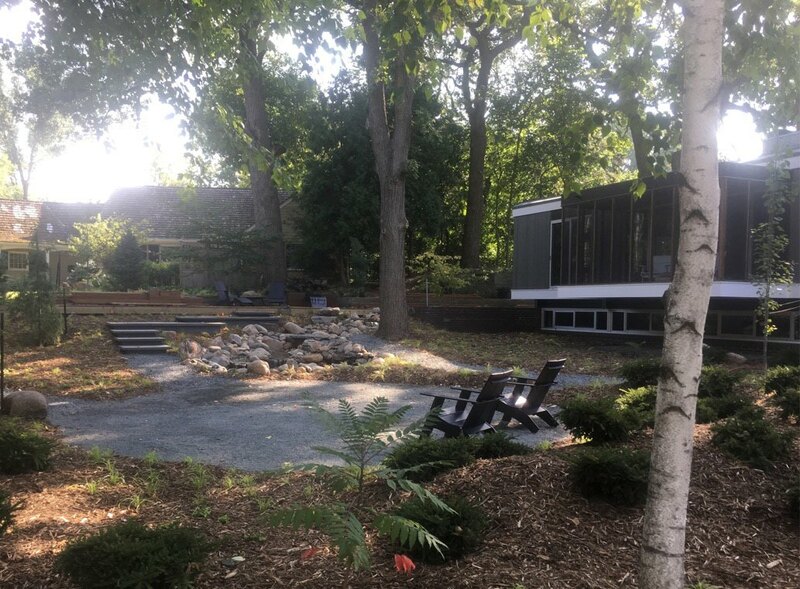 The cantilevered, screened-in porch floats above the landscape with views of what now seems like a private woodland park. 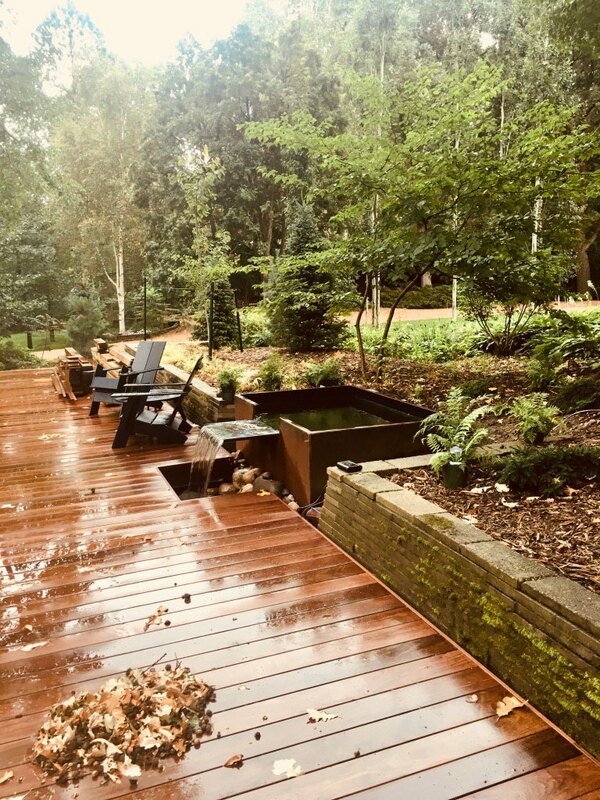 Reclaimed granite forms that once served as an artistic fence now function as floating stairs leading from the newly built 68’ deck (constructed by Marsden Building and Remodeling) to a gravel fire pit seating area. 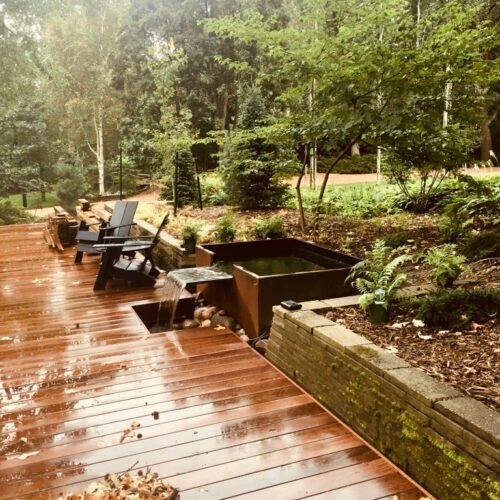 The stairs wrap around a natural river rock water feature that cascades down the landscape and can be heard from the porch above. 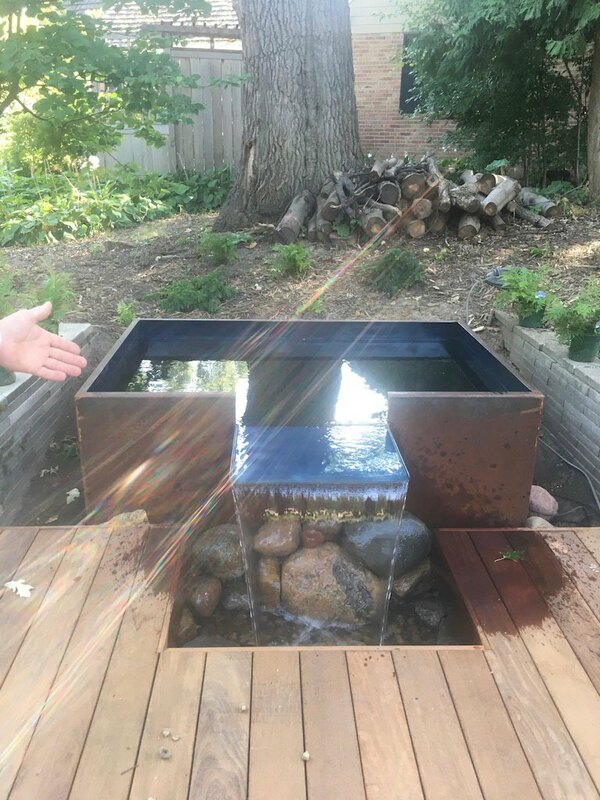 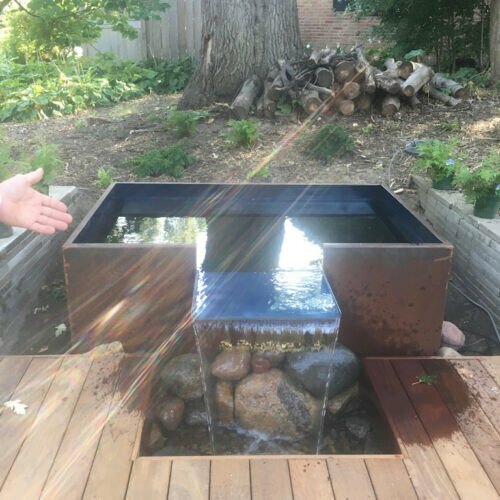 A Corten steel custom-designed fountain sits about above the deck and gives the impression of feeding the “natural” stream below. 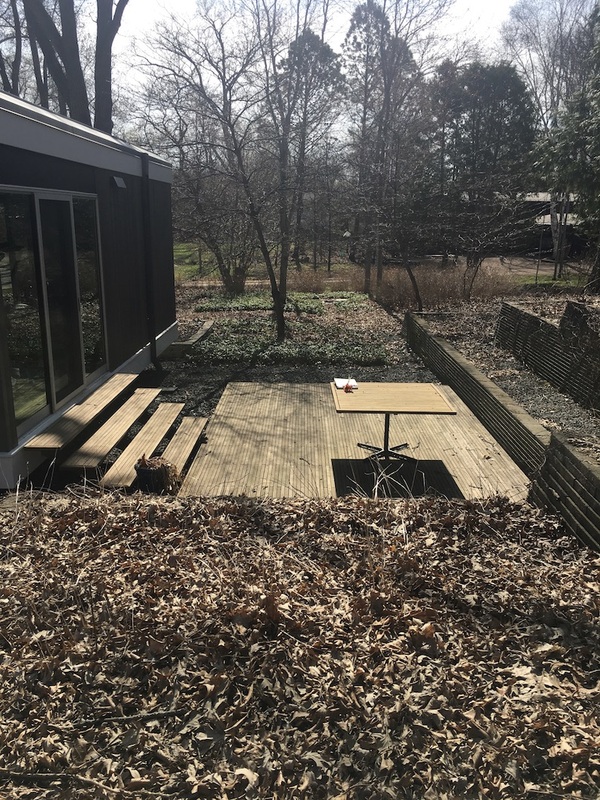 We extended the original, beautifully designed retaining wall on the upper deck for cohesion and enclosure. 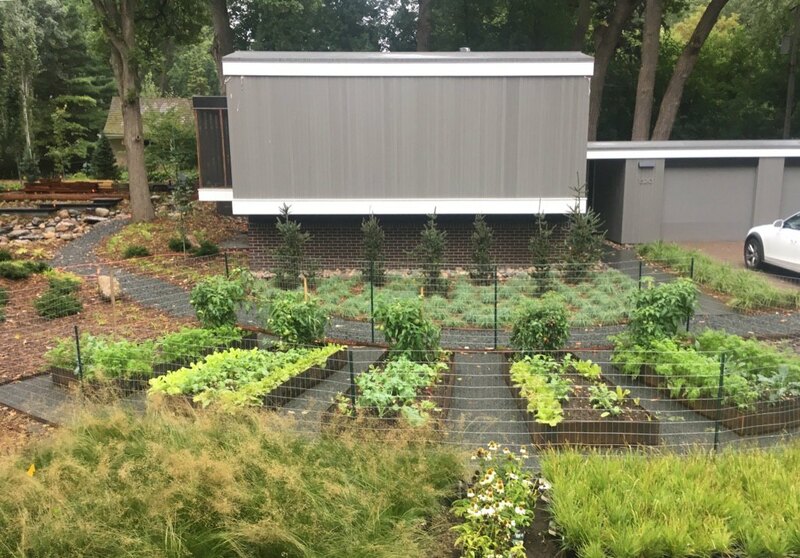 The couple’s desire to grow more food allowed us to design space for a veggie beds in the sunniest spot of the home: the front yard! 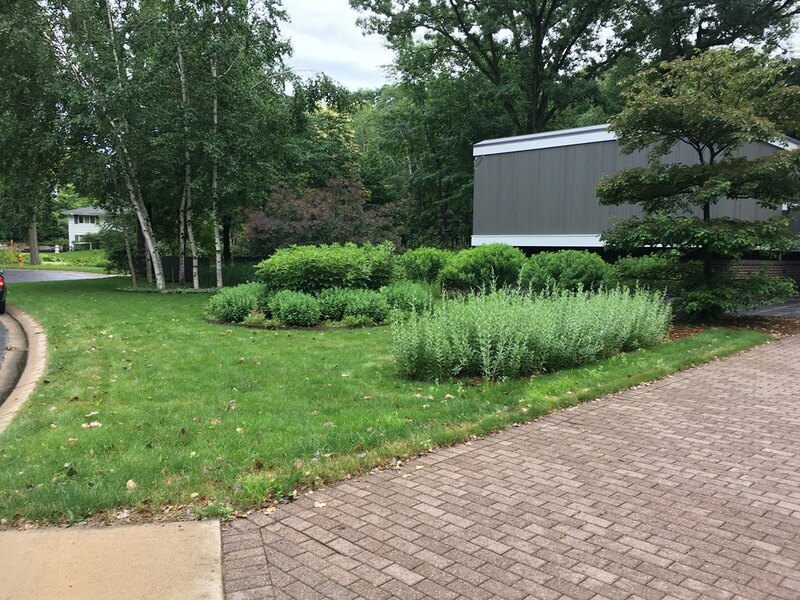 We love locating food production in the front of the home, where traditional lawn usually lives.